As of today, The Secret World is two years old. Of course, that’s a great accomplishment for the game, but more importantly, it’s time for us all to drown in a sea of free loot. The Guardians of Gaia event is back, bringing with it buffs to double or at least greatly increase the acquisition of ability points, black bullion, AEGIS XP, and… pretty much everything else in the game, really. There’s also an all new world boss in Tokyo, with new loot and new lore. Also, there will not be a golem in Fusang Projects this year. That sound you hear is everyone in the Secret World breathing a sigh of relief. I don’t really see anything topping last year’s Joelzilla Incident, but I fully expect awesome times ahead. 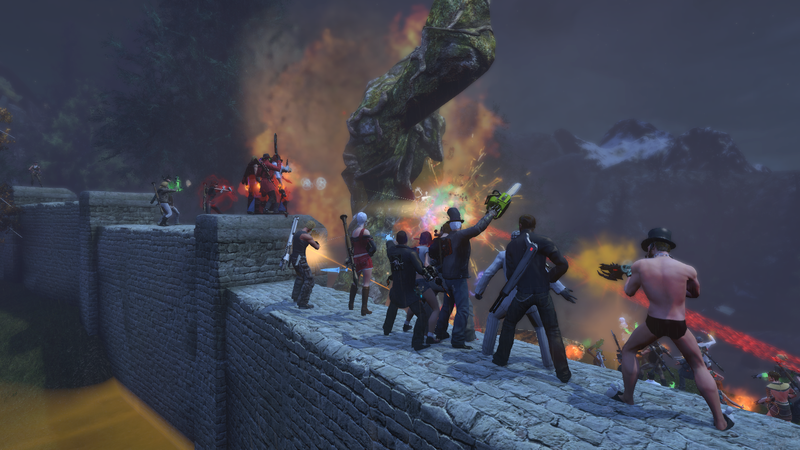 TSW puts on fantastic world events, but none have quite topped Guardians of Gaia, in my view. Today also marks the release of the first additional mission pack added to Tokyo (much sooner than I expected): Sidestories: Love and Loathing, which features five new missions from the various Tokyo NPCs. More Daimon Kiyota can only be a good thing. If you follow this blog regularly, you may have heard me say in the past that mediocrity is very hard to review. Without any brilliant moments to praise, or any monumental blunders to rant over, there isn’t much to say. 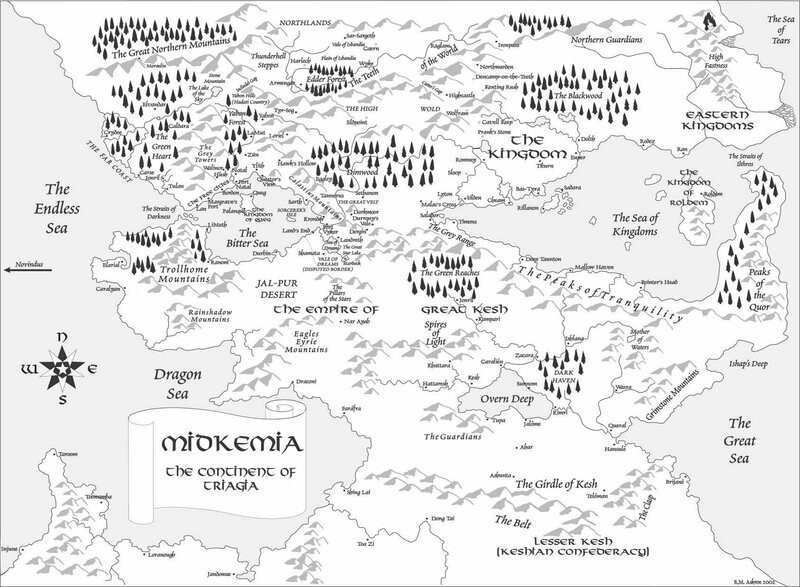 You may also remember my review of the first book of Raymond E. Feist’s Chaoswar Saga — itself a continuation of the enormous Riftwar Cycle, which tells the story of the embattled world of Midkemia — about two years ago. I finally got around to reading the second book of this trilogy, A Crown Imperiled, and it is a very hard book to review. It’s doubly hard because Feist’s writing has become so consistent and predictable that I feel anything I could say would just be repeating what I’ve already said many times before, even if I’ve technically only reviewed one of his other books on this blog. In short, A Crown Imperiled is a classic example of the rut that the Midkemian novels have fallen into. 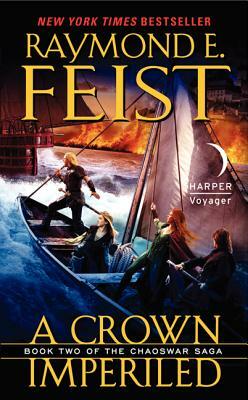 Feist has created a world full of rich and memorable characters, terrifying threats, and fantastical wonders. And he all but ignores them in favour of the mundane, the generic, and the predictable. Every new Midkemia series splits its attention between the longstanding characters who have carried this series from the start — like the godlike magician Pug and the Dragon Lord Tomas — and new characters introduced for that series. Two things invariably hold true: The new characters are nowhere near as interesting as the old ones, but they get the lion’s share of the attention. The majority of characters in the Midkemia books are the very definition of forgettable. As in I had literally forgotten everything about most of them right down to their very existence in the time between reading this book and the last one. The only reason I remembered Ty Hawkins was that he has the same nickname as me. So that’s a major knock against this book out of the gate, and the plot suffers from similar issues. There are some very interesting things going on, but they are not the focus of the story. The side-dishes have crowded out the entrèe. Martin and Brendan — whom I could not tell you anything about — are digging in to halt the Keshian invasion, a war that the book makes abundantly clear is just a distraction for some other nefarious plot. I swear half the scenes with these characters were just them discussing the logistics of preparing for a siege. Or that’s how it felt. Meanwhile, their equally nondescript brother Hal ends up running through the wilderness with the fugitive princess of Roldem, which ultimately accomplishes nothing other than providing an excuse for a very generic romance arc. The most interesting part of this book involves the return from the dead (sort of) of Miranda and Nakor. I was never the biggest fan of Miranda, but Nakor is awesome enough to make all the other tedium of these books worthwhile, and the fact they’ve returned, and the method of their return, raises some intriguing questions. There’s also a potentially interesting plot involving a Dark Elf chieftain, but it’s largely abandoned after a few chapters because reasons. Unfortunately, the mind-blowing twist at the end of the last book is largely ignored. In case it wasn’t clear by now, I wasn’t very impressed by A Crown Imperiled. It may be that I am being harsher than the book deserves. Certainly, it’s still a well-written book in the technical sense, and it’s not without its thrills. But it’s hard to ignore how much potential is being completely wasted. At least Nakor is back. That almost makes all the other stumbles worthwhile. That guy is amazing. Overall rating: 6.5/10 While the last few books felt above average for the flagging Riftwar series, A Crown Imperiled is a return to form, and not at all in a good way. This entry was posted in Games, Reviews and tagged books, fantasy, review, Riftwar, The Secret World by Tyler F.M. Edwards. Bookmark the permalink.